Acupuncture therapy usually involves a series of weekly or biweekly treatments in a clinical setting. Each visit typically includes an examination and assessment of your current condition, the insertion of needles, and a discussion about self-care tips. An acupuncture visit generally lasts 15 to 30 minutes. During acupuncture treatment, sterilized individually wrapped stainless steel needles are used once and then thrown away. You may feel a brief, sharp sensation when the needle is inserted, but generally the procedure isn’t painful. It is common to feel a deep aching sensation when the needle reaches the correct spot. In traditional Chinese medicine, imbalances in the basic energetic flow of life — known as qi or chi (chee) — are thought to cause illness. Qi is believed to flow through pathways (meridians) in your body. These meridians and the energy flow are accessible through approximately 400 different acupuncture points. By inserting extremely fine needles into these points in various combinations, acupuncture practitioners believe that your energy flow will rebalance. This will allow your body’s natural healing mechanisms to take over. Opioid release. During acupuncture, endorphins that are part of your body’s natural pain-control system may be released into your central nervous system — your brain and spinal cord. This reduces pain much like taking a pain medication. Spinal cord stimulation. Acupuncture may stimulate the nerves in your spinal cord to release pain-suppressing chemicals. Blood flow changes. 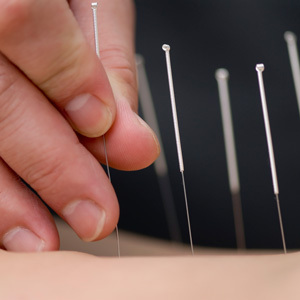 Acupuncture needles may increase the amount of blood flow in the area around the needle. The increased blood flow may supply additional nutrients or remove toxic substances, or both, promoting healing. Low back pain, nausea, neck disorders, recurrent headaches & migraines, shingles nerve pain, fibromyalgia, osteoarthritis of the knee & hip, tennis elbow, carpal tunnel syndrome, etc. It can also help with numerous internal disorders, including infertility and menopausal symptoms. The most common side effects of acupuncture are soreness, bleeding or bruising at the needle sites. However, these risks are low in the hands of a competent, certified acupuncture practitioner. Should you have any questions regarding this or any other information please feel free to discuss them with either Dr. Mekis or Dr. McIntosh. We look forward to meeting you in person and learning how we can help you take your first steps towards better health.